The Belle Gibson scandal has brought wellness blogs into the spotlight in a dark light. For those who somehow missed this massive controversy, 23 year old Gibson, falsely claimed to have suffered a stroke and five cancer diagnoses including terminal brain cancer but was magically cured through healthy eating, as she documented on her blog The Whole Pantry. Immediately the public were captivated, not only the public but the vulnerable and terminally ill were sucked into misleading claims which they thought would make them happier and healthier. Her wellness blog was so popular that Belle accumulated a loyal 200,000 Instagram followers which in turn enabled her to launch Apple app The Whole Pantry accumulating over $300,000 in profits from over 300,000 downloads. Initially, she landed a major book deal with Penguin Publishing until the scandal broke and she lost both book and app deals. 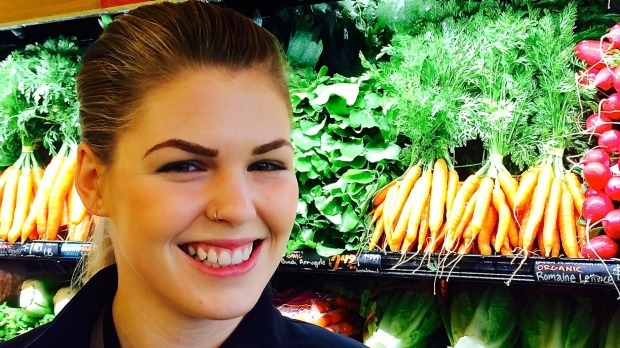 The Whole Pantry blogger Belle Gibson recently admitted to lying about her cancer diagnosis. The Belle Gibson scandal has made the public rethink the validity of wellness blogs and question the industry as a whole. The public look to the young and beautiful as inspiration in their infatuation to be picture perfect. New media and modern day technologies have enabled users to become the producer often described by Axel Bruns as ‘produsers’. Whilst there are many benefits of produsage as far as self-journalism goes uneducated wellness blogger are downright dangerous. These uneducated bloggers write off traditional medicine giving advice to the vulnerable and often terminally ill.
Varni Hari, is one of the biggest food activist’s in the world after no training or education. Varni Hari otherwise known as “Food Babe” was named one of “The 30 Most Influential People on the Internet” by Time Magazine in 2015. With over 54 million visits on her blog last year Varni is most well known for her food activism against companies in the food industry like Chipotle Mexican Grill, Chick-fil-A, Starbucks, Kraft and Subway. Whilst her critics claim that the trained Computer Scientist makes such controversial claims purely in order to increase traffic on her blog and generate ad revenue. Dr Joseph Schwarcz states that Hari has “no understanding of chemistry or food science” and that many of the chemicals that she criticizes are actually safe. Celebrity Chef, Pete Evans is under fire after his most recent paleo cookbook contained lethal recipes. Another big health personality that has recently come under scrutiny in the media is My Kitchen Rules host and celebrity chef Pete Evans. Paleo diet enthusiast Evans was forced to withdraw Bubba Yum Yum: The Paleo Way, for New Mums, Babies and Toddlers after health experts found deemed that his recipes were so unhealthy that they were actually dangerous. The do-it-yourself paleo baby formula recipes as published in his book was found to contain up to 10 times the maximum safe daily quantity of Vitamin A for babies. Although, publishers Pan McMillan pulled his book from the publishing press he has vowed to push ahead with his digital self-publication which health experts and authorities are unable to terminate. In the modern century the public are more conscious than ever, people are desperate and are willing to try anything even extreme therapies and alternative treatments. The Australian Government has spent billions of dollars into health education with the release of an updated Australian Dietary Guidelines in 2013 but users still turn to other’s as they promote a ‘too good to be true message.’ Wellness bloggers give the public a “real life idol” as social media allows people into their lives the public sees their weight loss transformations to how many bananas’ they put in their green smoothie to where they shop for clothes. This industry thrives off personalities and looks not science, medicine and research – a somewhat deadly combination. It is understandable that it is next to impossible to monitor content on the internet but users have to be made aware that the claims that they are constantly sucked into are often unreliable, ridiculous and unhealthy. These extreme therapies and alternate treatments to research medicine and science are endorsed by uneducated bloggers to entice the audience with wafer thin claims of weight loss, happiness and health. Controversies like Belle Gibson and Pete Evans shed a light on the wellness blogger which hopefully will make users more aware that they cannot believe and trust everything they read on the internet. It is one thing to read an illegitimate fact about a country online or hear of a celebrity rumor but misleading and incorrect health information is downright dangerous. As someone who follows evidenced-based practice I cringe when I read and hear some of the “latest nutrition news” from people with no proper training.